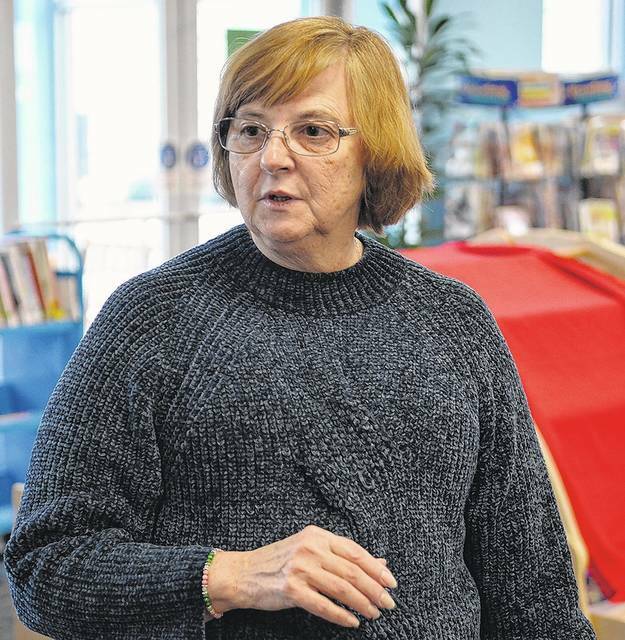 PITTSTON — Nestled between two bookshelves in the children’s section of the Pittston Memorial Library, a group of youngsters sat in a circle as they took turns reading. However, the children weren’t reading to each other or an adult. Instead, a dog named Angie served as the enthusiastic listener. Angie is with Pleasure of Your Company Therapy Dogs, a Lehigh Valley and Wyoming Valley nonprofit that uses therapy dogs in a variety of settings, according to president Helene Skopek-Krygier. Its Furry Tails Reading Partners program visits four area libraries once a month to help children learn to read. While the dogs help the children, Skopek-Krygier noted the kids also help the dogs as well by offering love, affection, social interaction and more. 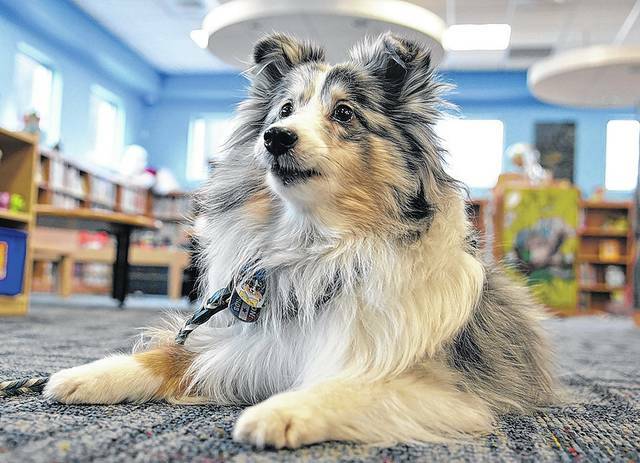 Angie is one of three Shetland Sheepdogs that Skopek-Krygier uses for the program, which is featured at Pittston Memorial Library, the Wyoming Free Library, the Marian Sutherland Kirby Library and the Osterhout South branch. The 9-year-old pooch has been a therapy dog since she was just a year old. Laying on a blue blanket, a group of children huddled around the dog as one by one they opened up their books and began to read. Navigating their way through the words of the books, the children would pet Angie and show her illustrations as they made their way through each story. Seven year-old Cecilia Coolbaugh was ready and waiting for Angie’s arrival, as usual. The West Wyoming resident and second-grader is a regular attendee of the program. Both Cecilia and her grandmother, Carol Coolbaugh, agree that the free program has helped Cecilia increase her reading and comprehension skills. Carol said she also believes having a pup in the library can aid children in other ways. Helene Skopek-Krygier, Wilkes-Barre, along with her therapy dog, Angie, were at the Pittston Memorial Library on Saturday to help young readers improve their skills. 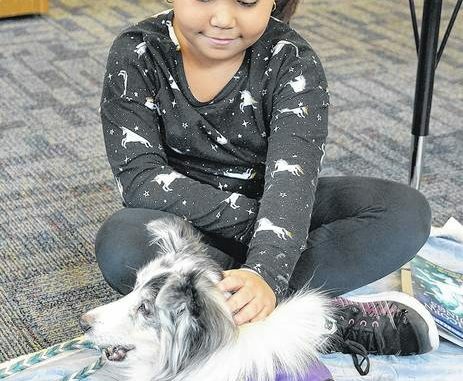 Therapy dog Angie, a nine-year-old Shetland Sheepdog, served as the enthusiastic listener Saturday at the Pittston Memorial Library during a Furry Tails Reading Partners event. 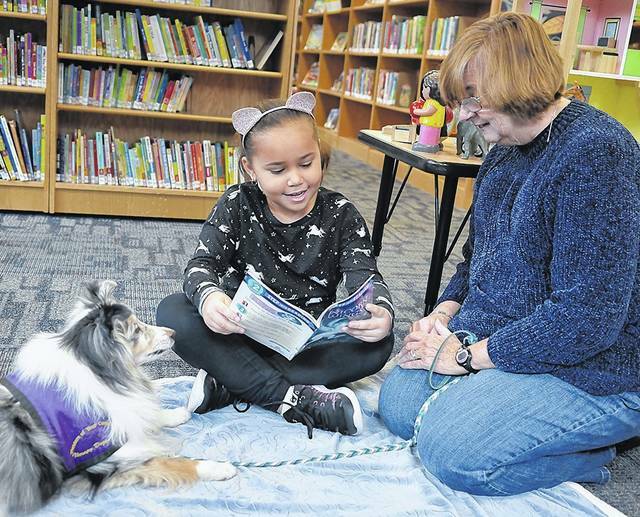 Angie, a 9-year-old therapy dog, listens to Cecilia Coolbaugh, 7, of West Pittston, as Helene Skopek-Krygier looks on at the Pittston Memorial Library on Saturday. Skopek-Krygier is president of Pleasure of Your Company Therapy Dogs, which runs a Furry Tails Reading Partners program at area libraries. 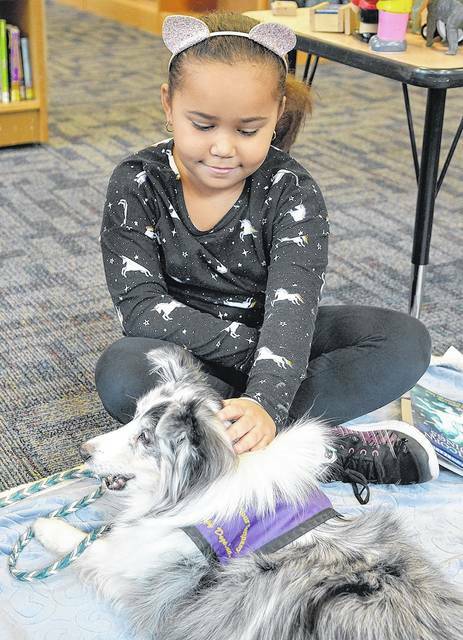 Cecilia Coolbaugh, 7, of West Pittston, pets therapy dog Angie at the Pittston Memorial Library on Saturday during a Furry Tails Reading Partners event. Angie serves as the listener while younger children sharpen their reading skills. WILKES-BARRE — Shaun Skursky and his family were on vacation in North Myrtle Beach, South Carolina, in March 2018, and relaxing in the hotel’s hot tub when he heard someone screaming for help. A 12-year-old boy from Michigan was stuck underwater after his foot jammed in an open intake pump that was part of the pool’s lazy river attraction, according to a philly.com story from last May. Skursky sprang into action, initially trying to lift the boy out of the pool. But the force of the pump wouldn’t allow it. Fortunately, Skursky was trained in CPR. Skursky said he and his family were getting ready to return to their hotel room when he heard a lady screaming for help. He ran over to the “lazy river” — a water park feature that creates a pool to allow kids and adults to float around in a tube. “I jumped in and saw the child underwater and I did what I had to do,” Skursky said. Skursky repeatedly breathed air into the child’s mouth while underwater until the 12-year-old was freed and brought to the surface. 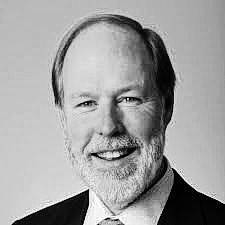 ”There’s a video you might remember seeing last April — a young boy was on vacation in South Carolina when he got his foot stuck in a pipe at the bottom of a lazy river,” said Mike Murray, publisher, Times Leader Media Group, who presented the award to Skursky at the American Red Cross Heroes Celebration last week. “In the video you can see his friend try to pull him up for air, but the boy remains trapped under the water. “When the boy’s mother screams for help, you see a tall man run into the frame, put down his own baby, and dive under the water to help. The Times Leader Media Group was a sponsor of the awards ceremony. Has the event changed Skursky’s life? The child Skursky saved lives in Michigan. He hasn’t talked to him since the event. Skursky and other rescuers received a life-saving award in South Carolina last year. He was honored by Corrections USA with its Medal of Valor during a conference in Las Vegas. Times Leader Publisher Mike Murray and American Red Cross Executive Director Bill Gholdsworth flank Shaun Skursky, who was honored with the Law Enforcement Hero Award. 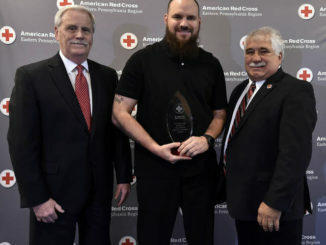 https://www.timesleader.com/wp-content/uploads/2019/04/web1_TTL041719redcross2.jpgTimes Leader Publisher Mike Murray and American Red Cross Executive Director Bill Gholdsworth flank Shaun Skursky, who was honored with the Law Enforcement Hero Award. LAKE TWP. 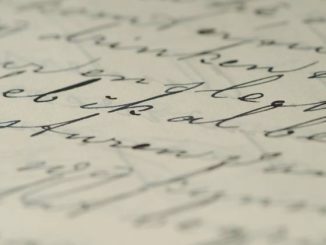 — Uncertain about the distinction between stuttering and cluttering and other “fluency” disorders? You have a chance to see the difference in person, and to hear some of the best ways to evaluate a condition and treat it. 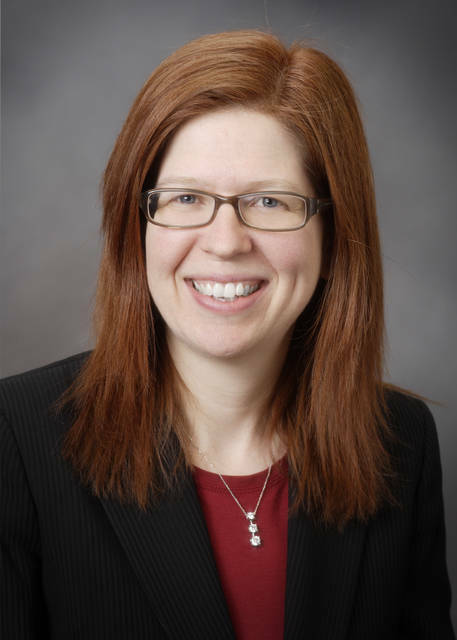 Misericordia University has decided to go a bit beyond the usual practice of having experts discuss a topic for the May 10 “Real-Life Solutions to Working with Clients with Fluency Disorders” symposium. “We want to do something different and actually bring clients of ours to demonstrate techniques and solutions,” explained Glen Tellis, one of two speakers at the symposium. “We go around the world and do workshops on cluttering and stuttering, but we’ve never done one here,” Tellis said. 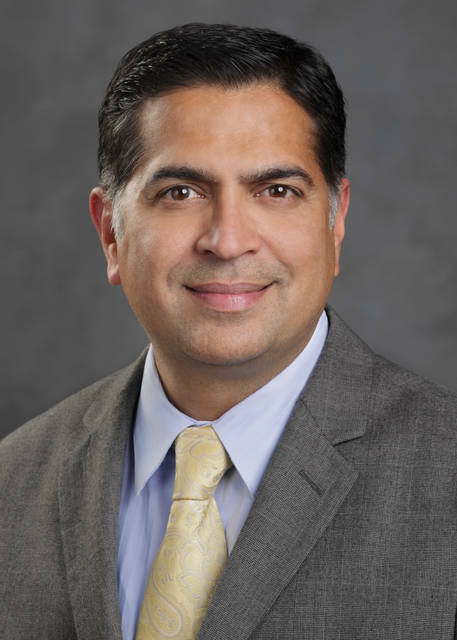 “A lot of people requested we do a joint one.” That request will be met at the symposium, presented as part of the university’s Gabriel Bernabeo Distinguished Speaker Series. 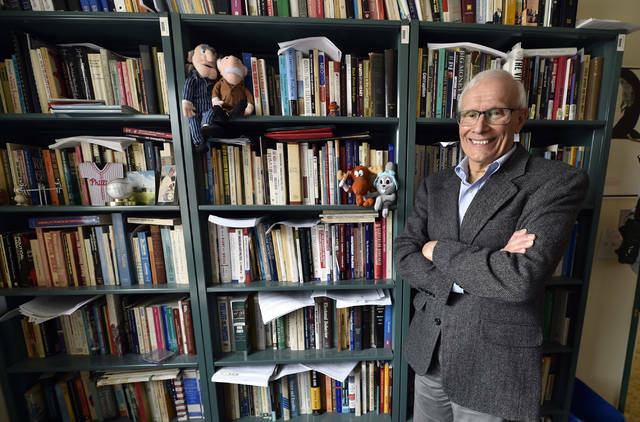 “In the past there has been a lot of confusion about cluttering,” Tellis said, noting Scaler-Scott has written three books and was the first coordinator of the International Cluttering Association. The workshop will also cover atypical disfluency, when there are breaks in speech different from those of stuttering — say, at the end of words rather than the beginning (this-is). While children often develop and overcome stuttering or cluttering o their own at early ages — 3 to 6 is the common range, Tellis said — it is best to get a professional opinion to help catch the cases that could become lifelong challenges without intervention. The solutions to both disorders can vary and must be tailored to the individual. The workshop is for speech-language pathologists, special education teachers, general education teachers, occupational therapists, students and parents. The program offers Continuing Education Units and Act 48 credits. Occupational therapists will receive a certificate of attendance. For information contact Pamela Rogers, Department of Speech-Language Pathology, at 570-674-8255 or progers@misericordia.edu. To register and pay for the workshop online, please visit misericordia.edu/dss. Registration deadline in May 3. WILKES-BARRE — The Irem Shrine Circus is celebrating its 70th year, making it a treasured tradition for many in the Wilkes-Barre area. 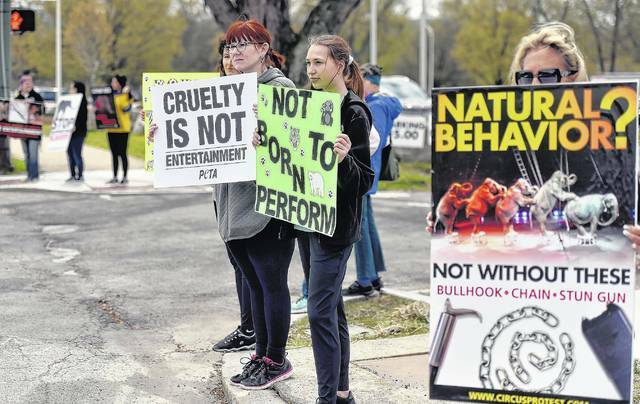 But to a faithful group of protesters who appear every year, the circus is a holdover from an era of what they say is rampant animal cruelty. Setting up shop at the 109th Field Artillery Armory on Market Street, the circus was once again met by protesters lining the street outside on Monday, with signs bearing messages claiming the animals inside were being abused for the purposes of training. Sylvie Pomicter, from the Lackawanna County-based group Voice of the Animals, sets up the protest every year, and has been an animal activist herself for 35 years. Pomicter thinks the entire process of using animals for the purposes of entertainment is cruel, saying it involves the animals being locked in their cages for hours on end. “They only come out for a half hour a day to entertain people,” she claimed. Pomicter, along with Roberta Cerra, said one of the biggest issues with circus performances is forcing animals to do things they wouldn’t do naturally. “One of the meanest tricks is to make a tiger or any animal jump through fire,” Cerra said. Both Cerra and Pomicter agreed that animals don’t belong in a circus. “They belong in the wild,” Pomicter said, adding that an animal sanctuary would probably be a better option for many of the animals. Inside the armory, before Monday’s first performance, there were already animals in the rings. Two elephants bore children and their parents who had paid for a ride, while a group of horses lapped their ring, seeming to prepare for the show. Representatives from the circus balked at the claims made Pomicter and Cerra, saying the animals in the show were treated very well. John Richards, usher chairman for the circus, said that numerous screenings by the SPCA at the circus have ever found any abuse. 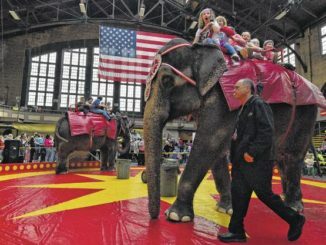 Richards, along with Steve Koonrad, this year’s potentate of the circus, said the trainers employed by the circus are “top-notch” and are meticulous about the care of their animals. What’s more, Koonrad said the circus provides for an educational experience. A dozen people protested the use of animals in the circus outside of the Irem Shrine Circus at the 109th Field Artillery Armory Monday afternoon. 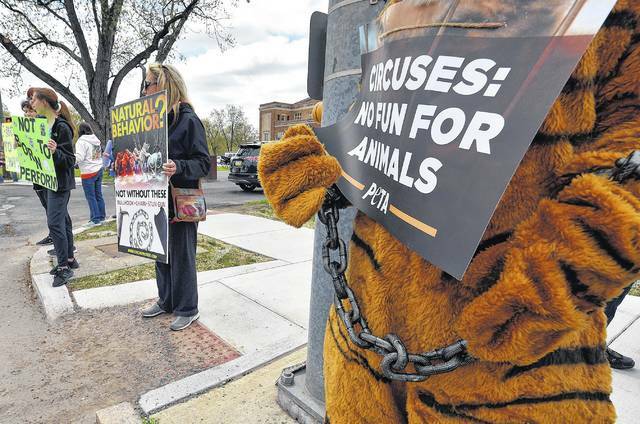 Jen Gunshore is seen dressed as a chained tiger to protest the use of animals in the circus. 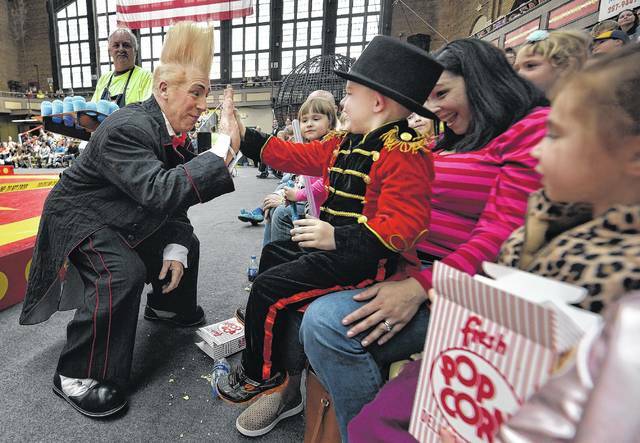 Bello the clown gives Conner Burkett, 4, a high five at the Irem Shrine Circus on Monday. Aerialists perform above the center ring at the Irem Shrine Circus. 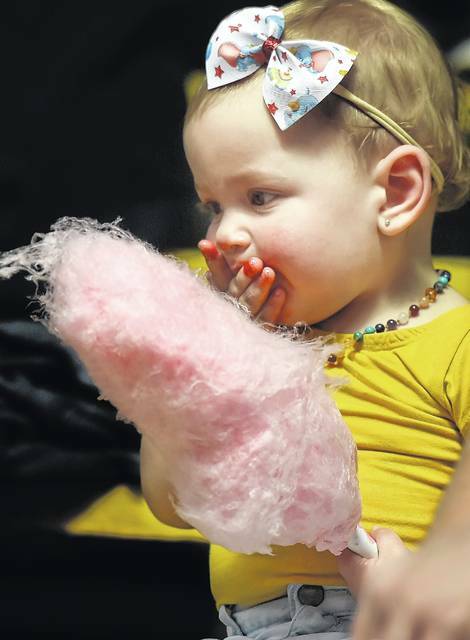 Vayda Horn, 14 months, tries some cotton candy while watching the circus. Children take a ride on the elephants during an intermission at the Irem Shrine Circus on Monday. 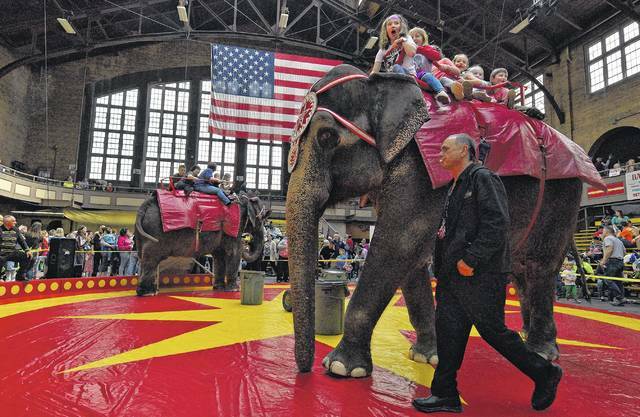 The Irem Shrine Circus will be performing at the armory through Saturday night. See iremshrinecircus.com for more information. The Geisinger Health Plan office in CenterPoint. The Greiner Packaging building in CenterPoint. The Isuzu building in CenterPoint. 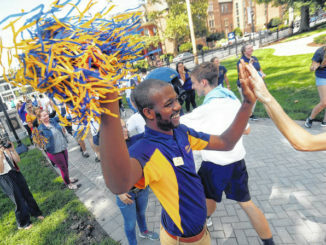 Area colleges, including Wilkes University, awarded a total of 4,537 degrees in the 2016-2017 academic year. 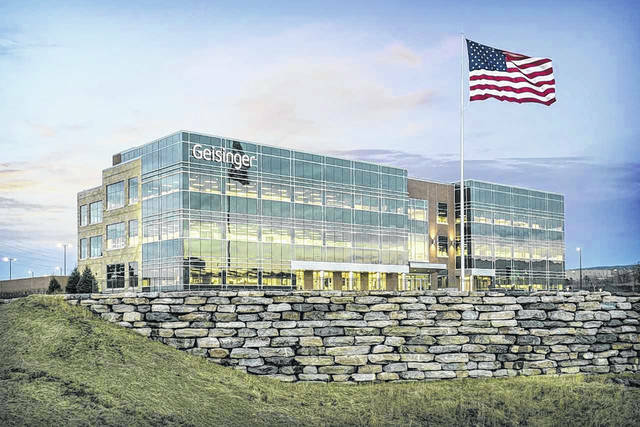 https://www.timesleader.com/wp-content/uploads/2019/04/web1_Centerpoint-tenant-photos-Geisinger.jpgThe Geisinger Health Plan office in CenterPoint. 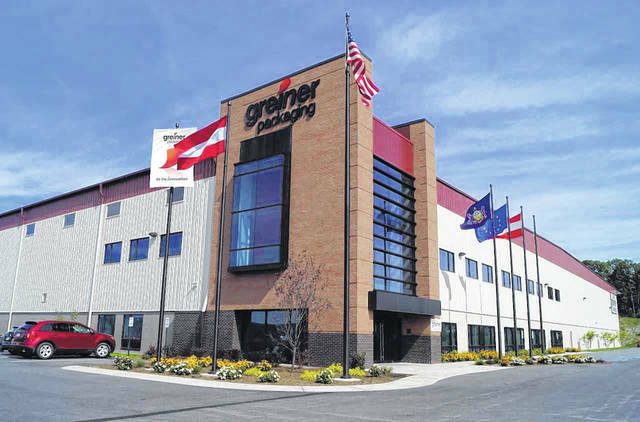 https://www.timesleader.com/wp-content/uploads/2019/04/web1_Centerpoint-Tenant-Photos-Greiner.jpgThe Greiner Packaging building in CenterPoint. https://www.timesleader.com/wp-content/uploads/2019/04/web1_Centerpoint-Tenant-Photos-Izuzu.jpgThe Isuzu building in CenterPoint. 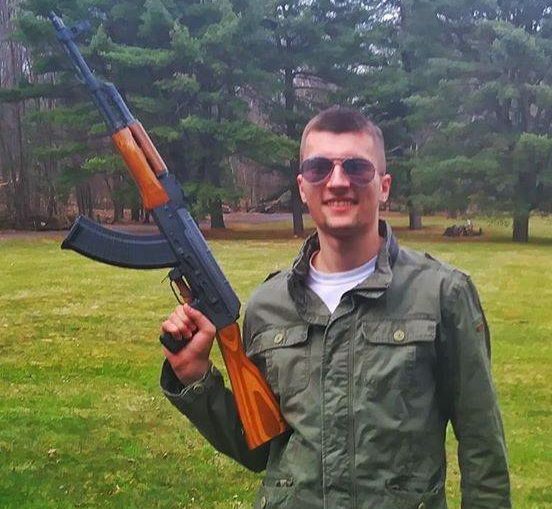 Ahead of Tuesday’s sentencing for John “Jake” Hasay on illegally possessing a machine gun, the U.S. Attorney’s Office notified the court it opposed a break for the Hunlock Creek man due to a reported mental health condition. Hasay, who has been in federal custody for eight months since authorities looked into his alleged white supremacist group ties, would be better served with psychiatric treatment than more prison time, his attorney argued last week seeking a reduction from the guideline range of 24 to 30 months imprisonment. But Assistant U.S. Attorney Phillip J. Caraballo countered Hasay’s mental and emotional conditions fell short of the standard that would warrant the requested downward departure to eight to 14 months in prison. A pre-sentence report done by the U.S. Probation Office described Hasay, 22, as “a relatively talented and functional individual who benefited from a privileged upbringing,” Caraballo said in an April 19 letter to U.S. District Judge James M. Munley in Scranton. Caraballo included that Hasay graduated from high school, attended some college and made an attempt at military service. He also said Hasay learned Arabic, has been able to hold a job and members of the community and friends described him as a polite and normal young man in their letters of support to the judge. “Certainly, he knew full well the nature of his criminal activities when he imported illegal firearms components by smuggling them through Customs officials, installed auto-sears (parts to convert a weapon to shoot automatically) and suppressors on his firearms, and sawed off the barrels of other long guns,” Caraballo said in his opposition to leniency for the son of former District Justice John Hasay of Shickshinny. 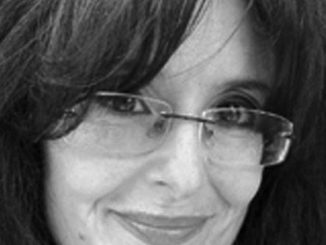 An appropriate sentence would be in the guideline range and include “a component of psychological evaluation and treatment as part of any term of imprisonment or supervised release,” Caraballo said. Hasay pleaded guilty in January to a felony charge of illegally possessing a machine gun. He converted a Glock model 19 handgun to fire automatically with a single trigger pull. 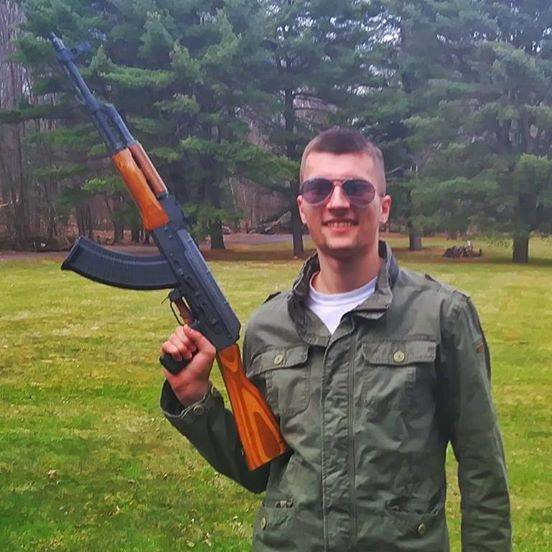 He has agreed to forfeit the weapon as well as other firearms used for target practice and ammunition federal authorities seized from his parents’ home in August 2018. Federal investigators focused on Hasay last year after he posted anti-Semitic and racists jokes and comments on social media and stated he would commit a hate crime. They later determined he was not a member of a white supremacist group, said his attorney Al Flora Jr. of Wilkes-Barre. Flora sought a reduced sentence for Hasay that could result in him being placed on home confinement or supervised release. 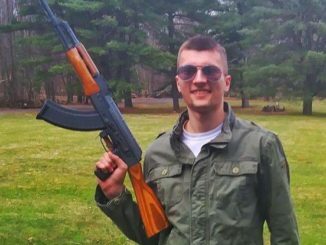 Flora said Hasay was not a danger to anyone and showed a “fascination with guns” that could be attributed to him having a component of Asperger’s Disorder. Reach Jerry Lynott at 570-991-6120 or on Twitter @TLJerryLynott. After 28 years opining on local politics, Tom Baldino retiring from Wilkes U.
WILKES-BARRE — Maybe when he was, say, five, Tom Baldino sat in living room and imagined playing pro ball with the Phillies in his childhood home in south Philadelphia. When he was around 10 he watched Alan Shepard sit solo in a tiny mercury capsule as a Redstone rocket lit up like an 83-foot flare and fired the first American into the ether, and Baldino decided his life belonged to the new frontier of space aeronautics. By the time he was commuting to La Salle Preparatory High School on the north end of town, he set his sights on teaching history. So how, exactly, did he end up a political science professor for 40-some years, the last 28 at Wilkes University, the job he will leave as he settles into retirement this spring? Thus he sits in an office lined with scores of books — some of which he admits he never read, others he has loaned out to students. Strewn about the shelves are The Muppet Show’s Statler and Waldorf, the iconic Rocky and Bullwinkle, a map of Middle Earth from Lord of the Rings, palm-size models of space ships from Star Trek and Star Wars, an autographed baseball encased in acrylic, a vista image of the Grand Canyon and a J.S. Bach poster. Classical music wafts in the background. He dons a sport coat for tie-less photo pose next to the moose and flying squirrel, beaming with a confession that “my wife made me wear it,” and talks of how he got to Wilkes-Barre. No, not in 1991 when he joined this university. Go back further, to the Vietnam war. The Beatles “When I’m 64” was a hit, and it really struck when his draft lottery number came up the same two digits. Looking for ways to keep his military fate in his own hands, he enlisted in the Army Reserve, got assigned to a Railroad Transportation Battalion, and found himself sent to Wilkes-Barre in the summer of ’73, to do some recruiting. He saw something else that summer in the Valley with a Heart: recovery from the deluge floods of Hurricane Agnes. “The dirt was gone, but you could still see the damage downtown.” And he caught his first view of another force of destruction: Coal mining. The impression was not compelling. “I still make my students submit paper copies. I can read and grade them on the computer. But I have old eyes,” he chuckles. He also spent much of that time offering opinions to local media regarding hot political topics of the day, from the impact of negative campaigning to the value of letters to the editor, from politicians touting their faith in God to the push to ban gay marriage. He watched the downtown transform with a movie multiplex going up and a canopy coming down (“I liked the canopy”). Students, of course, change, but those he works with remain. Baldino was often the point man in several years of collaborations between the Times Leader and Wilkes for local opinion polls. He saw a referendum on construction of the arena rejected, yet the arena itself built, spurring (as promised) large developments nearby. And he served on the study commission that considered changing Luzerne County’s form of government. No, not the change approved by voters that went into effect in 2012, the one drafted in 2003 that voters rejected. He has, of course, an opinion on why one failed and the other succeeded, even though both proposals had many similarities. The 2003 initiative was spawned by corruption allegations primarily contained in and around the County Commissioner positions. The 2012 change came amid a federal probe that led to dozens of pleas and convictions across political boundaries. 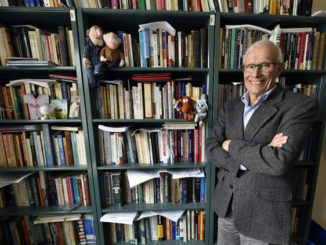 You can tell from the nicknacks, the books, and the countless smiles as he talks. Clearly, he retires a man content. Wilkes University professor Tom Baldino is retiring at the end of the school year after nearly 30 years with the school. Fraternal Order of Police, Wyoming Valley Lodge 36, recently decided to retract its endorsement of George, who ran his first campaign for mayor on a “Law and Order” platform, the union stated. The letter states George’s campaign signs saying “Progress as Promised” and 2015 campaign slogan “Law and Order” are false promises to the people who live, work and visit the City of Wilkes-Barre along with the men and women of the Wilkes-Barre City Police Department. The letter also says the mayor’s actions have cost Wilkes-Barre City tax payers unnecessary money, citing the mayor spent tens of thousands of dollars on fighting or attempting to bust the police union instead of investing it in the city’s police department. Part of the alleged “extraordinary” union busting, included the firing of city police union leader, officer Dan Duffy, who was reinstated last October, and for suspending city police union president Phil Myers. Officials with the FOP said George appointed “two unqualified people” to lead the department —an apparent reference to former Chief Marcella Lendacky, who retired last year after a critical report was released about her leadership, and former Commander Ron Foy, who was demoted to detective. George also said he doesn’t see the FOP’s letter impacting voter support for another term. The mayor also told the Times Leader that after the FOP gave him the nomination they vowed they would fight him on everything if he appointed Lendacky as Police Chief. “They respect Chief (Joe) Coffay,” George said of relations between the FOP and the career lawman he named to replace Lendacky. “He does what I tell him but he runs the department the way he wants,” George said. George’s Democratic challenger in the May 21 primary, George Brown, also weighed in on the FOP’s rescinded endorsement. 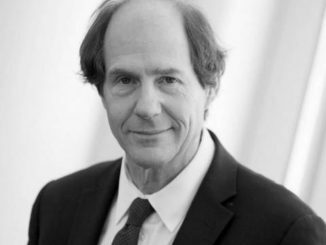 In a four-candidate Democratic primary in 2015, George beat Brown and two other hopefuls for the Democratic nomination, then went on to defeat a Republican in the general election. There are no Republicans on the ballot for this year’s primary. 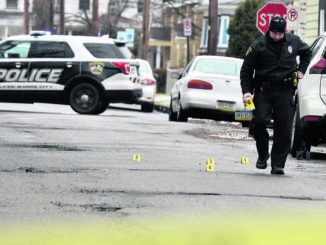 Wilkes-Barre Police cordon off and place markers at the site of a drive by shooting incident on Lockhart Street in Wilkes-Barre earlier this year. The Fraternal Order of Police, Wyoming Valley Lodge 36, recently decided to retract its endorsement of Mayor Tony George, who ran his first campaign for mayor on a “Law and Order” platform, the union stated in a letter released Monday. WILKES-BARRE — A Luzerne County judge has ordered the Wilkes-Barre Area School District and Children and Youth Services to release any and all records of homicide suspect Louisa Reyes to the district attorney’s office. Reyes, 14, and Reynaldo Mercado, 32, are charged in the robbery and killing of 58-year-old Fred Boote. 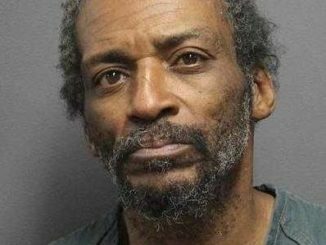 Boote’s bloody and partially burned body was found inside his home on Donald Court in the early morning hours of Sept. 14 when a city police officer returning a loose dog discovered the scene. Wilkes-Barre police detectives allege Reyes and Mercado made off with $25 and Boote’s cell phone. Reyes and Mercado fled to West New York, N.J., where they were captured at the home of Mercado’s uncle on Sept. 15. Detectives suspected Mercado was attempting to get to the Dominican Republic. Judge Michael T. Vough last week ordered the school district and Children and Youth to release Reyes’ records to the district attorney’s office in preparation of an upcoming decertification hearing that has not been scheduled. The school district was ordered to release Reyes’ attendance, disciplinary history and academic performance to prosecutors. She was a student at Meyers High School. Reyes’ attorney, Frank T. McCabe, in November filed a motion seeking to decertify the adult charges against her, which would move her case to juvenile court for prosecution. McCabe received Reyes’ school records and records from Children and Youth in February. Detectives allege in court records Reyes’ mother, Carmen Cardy, had a relationship with Boote for several months, but he asked her and her children to move out in July. Soon after, they moved in with Mercado on Maffett Street in Wilkes-Barre. During an interview with investigators, Reyes claimed Mercado became desperate for cash after losing a job. Mercado told Reyes he planned on committing burglaries to make money and suggested they ransacked Boote’s house, court records say. Reyes led Mercado to Boote’s residence and helped him gain entry when she distracted Boote. Mercado allegedly stabbed Boote multiple times in a bedroom and used gasoline to burn the body but the fire burned out, according to court records. On the day Boote’s body was found, city firefighters responded to a fire in a basement of a home on Maffett Street where detectives allege Mercado attempted to burn evidence linked to the killing. Reyes is charged with murder of the second-degree and Mercado is charged with an open count of criminal homicide. They also face counts of robbery, arson, abuse of corpse and criminal conspiracy. A pre-trial hearing is set for June 3 with a trial for Reyes and Mercado scheduled to begin July 29. 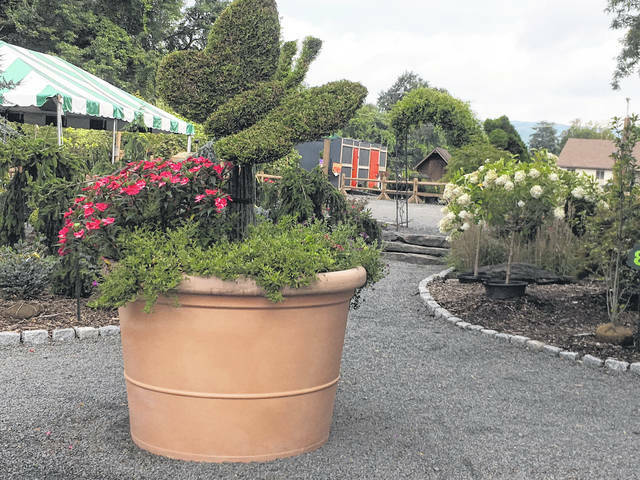 FORTY FORT — Flowers, trees and other decor line the winding landscaped road leading into Edward’s Garden Center, along with some more eclectic pieces sure to catch one’s eye – such as a classic orange Volkswagon Beetle, a metal Mariachi band and more. The unique array of items, mixed with education and plain old fun, is what sets the popular gardening center apart from others. 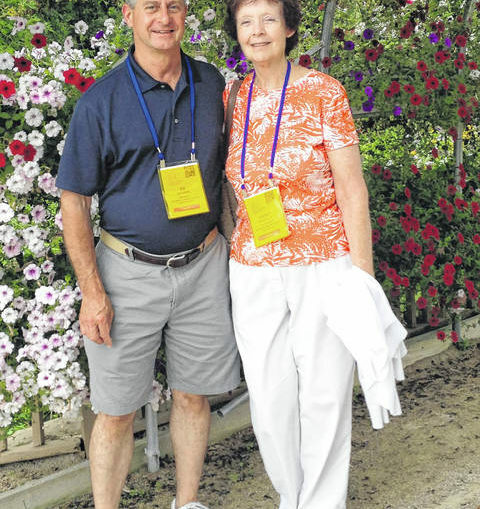 Edward Kopec and his wife, Margy, own Edward’s Garden Center in Forty Fort. The duo and their 25 employees have been hard at work making gardening attainable, fun and educational for all since 1978. He started gardening as a child before cutting grass for neighbors. After working to install sod, Kopec opened his business by the time he graduated college. 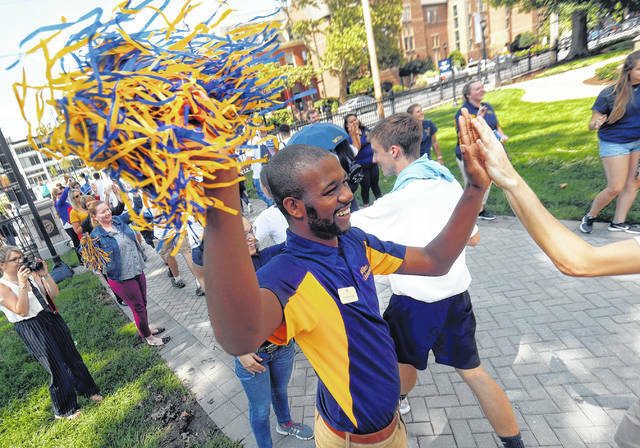 “The plan was to become a teacher and do this in the summer, but my little business started to thrive and so I decided to do this full time,” Kopec said of his venture. Over the years, Edward’s Garden Center has morphed into a family-friendly, hands-on space that Kopec dubs a “destination garden center.” It conducts all-ages seminars and boasts a free kid’s scavenger hunt with more than 30 animals, all surrounded by a plethora of eclectic decor, antiques, trains, checkerboards and more. The decision to focus around family activities, like his popular Fall Festival, came as a way to get folks to the space while acquainting children – nowadays mostly raised indoors with electronic devices – with gardening and the outdoors. “It’s not like your typical box store, we do a lot of family things,” he said. As for greenery, the center has trees and shrubbery to flowers, decor and ponds. Specializing in water features, patrons can shop more than 20 different ponds and other outdoor water attractions, as well as the fish that typically resides in them. While Kopec has admiringly scaled back his landscaping business over the years he’s also added a variety of services, including popular “We Plan, You Plant” and contractor wholesale services. Keep up with everything the center has to offer at Edwards Garden Center on Facebook, or at EdwardsGardenCenter.com. Edwards Garden Center is located on River Street in Forty Fort. 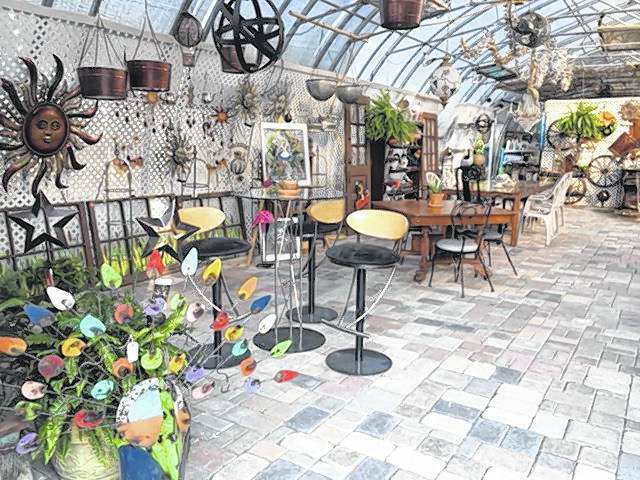 Edward’s Garden Center is home to all kinds of plants and trees and other unique items. 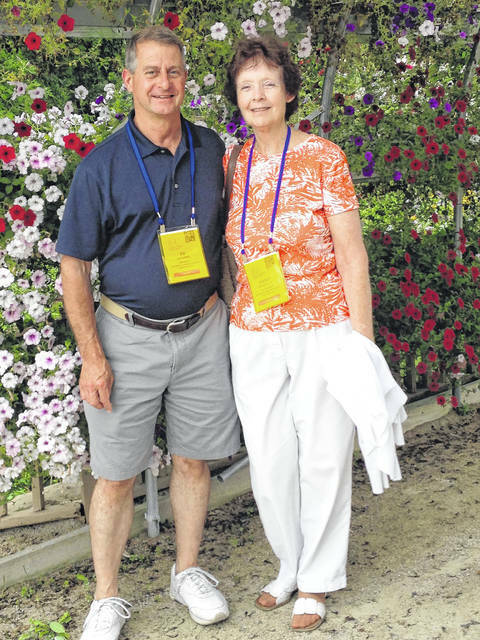 Edward Kopec and his wife, Margy, of Edward’s Garden Center. 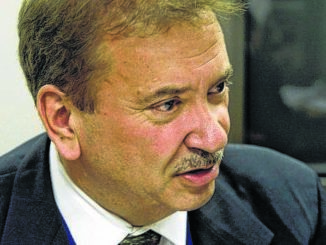 Luzerne County Manager C. David Pedri’s request to hire a lobbyist is up for a vote on Tuesday’s council agenda. If approved, Harrisburg-based Maverick Strategies would be paid $5,000 per month to identify resources and grants that could benefit the county. 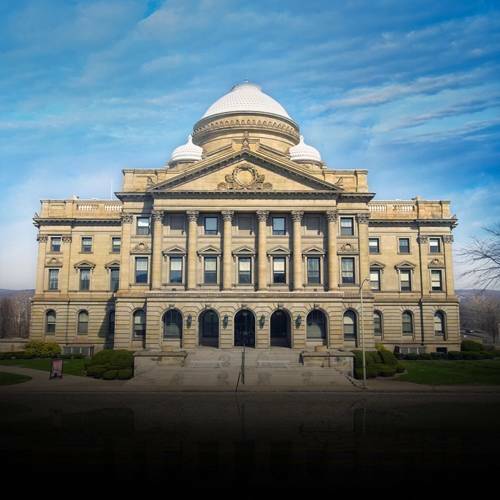 Pedri has argued a more active presence is needed in the state capital to ensure the county maximizes funding opportunities, noting some other counties have lobbyists. 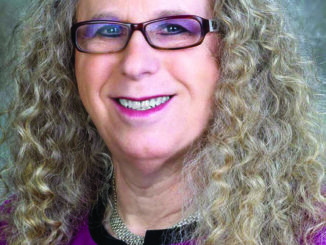 Several council members and citizens have raised questions or concerns that Pedri has said would be addressed by a Maverick representative. 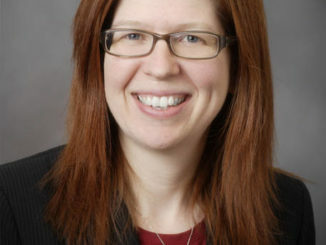 Councilwoman Linda McClosky Houck sent an email to council Chairman Tim McGinley and her colleagues urging them to remove the matter from the voting agenda, asserting public requests for proposals are required under the home rule charter in case other entities are interested in performing the work. The adoption of budget amendment ordinances to add two new positions also is on the agenda for Tuesday’s voting meeting, which starts at 6 p.m. at the county courthouse on River Street in Wilkes-Barre. 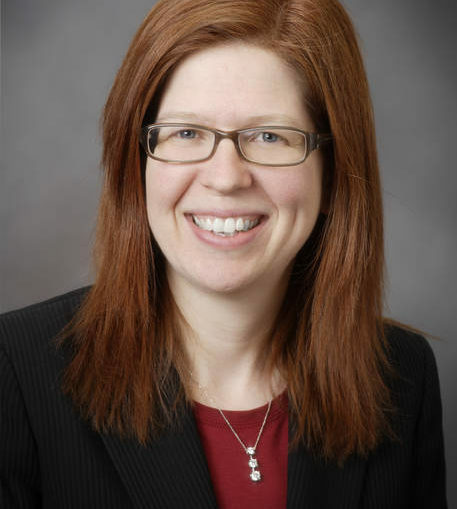 County District Attorney Stefanie Salavantis has secured $45,000 in funding from the state Attorney General’s Office to cover the salary in that amount for a full-time, non-union drug task force officer who would focus on combating the opioid epidemic and other narcotics-related offenses. The second new position is a non-union transportation planner in the planning/zoning office to be paid $48,000 to $53,000. The state transportation department will cover the salary, benefits and pension, the agenda said. Also on the voting agenda is the county Transportation Authority’s request for a $650,409 annual county match to obtain $6 million in state funding. A proposal to change the name of Pittston’s senior center to the Linda Kohut Active Adult Center is set for discussion in Tuesday’s work session, which follows the voting meeting. 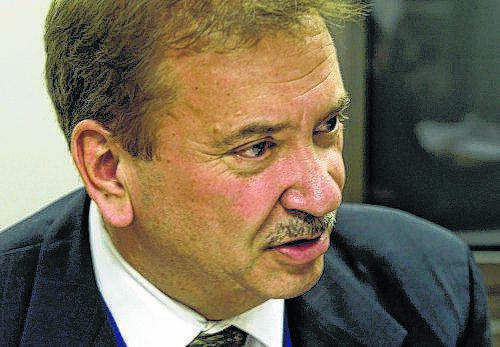 Kohut had worked more than 30 years for the Luzerne/Wyoming Counties Area Agency on Aging and died unexpectedly last year, the agenda said. 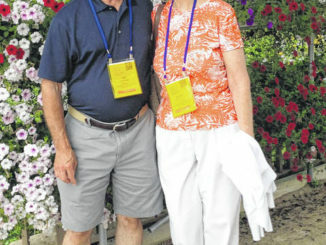 ”Linda was a resident of Pittston and dedicated her life to helping older adults, not only in the active adult centers, but throughout the county,” it said. 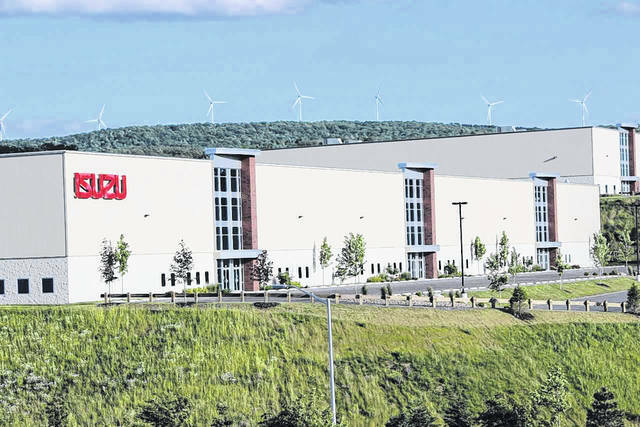 The proposed sale of 69 repository properties also is on the work session agenda, which is posted on the council section at www.luzernecounty.org. Repository properties are available for sale at any time, typically for $500, because they did not sell in prior back-tax auctions. Sales are encouraged because the county is semi-liable for the properties, serving as legal trustee while the owners of record have abandoned them and stopped paying real estate taxes, officials have said. The county typically has around 1,000 properties in the repository because new batches are added after each free-and-clear auction, canceling out reductions from those periodically sold. 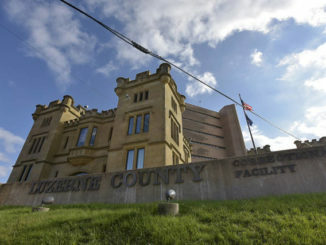 The list of available properties is posted and regularly updated at www.luzernecountytaxclaim.com. 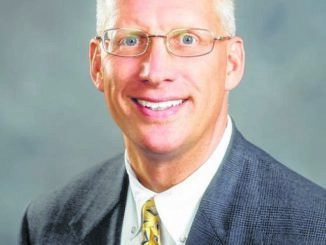 Citizen Brian Shiner recently publicly asked both council and the county Flood Protection Authority to update their intergovernmental cooperation agreement to ensure their roles and partnership are cemented. Christopher Belleman, executive director of the authority that oversees the Wyoming Valley Levee, told Shiner the authority had tried to negotiate a new arrangement for years “to no avail.” However, Belleman said he spoke to county officials at the authority’s recent legislative breakfast and is confident they will meet soon to discuss the matter. Christopher Slusser, the authority’s new solicitor, said he will review the last agreement to see if it is still valid and coordinate dates for both sides to meet. Although the authority is now a standalone entity, Pedri has repeatedly emphasized the county would provide all available resources during Susquehanna River flooding. An attorney from New York in 1966 through a Luzerne County sheriff’s sale purchased property on West North Street, Wilkes-Barre, intending to build a high rise apartment building, while an attorney in Plains Township wanted the land to build a law office. Fortunately, those plans never materialized at the site of Our Lady of Fatima Blessed Grotto. The religious shrine as it appears today got its beginning sometime in the mid-1950s when Cyril Westfield, who owned the land, placed a statue of the Virgin Mary within the 30-foot high cliff. In early 1960, Westfield began receiving other religious artifacts and monetary donations he used to expand the shrine. Sadly, Westfield died Oct. 9, 1960. “Westfield each dusk visited the shrine, prayed and lit the spotlights. He returned later at night and turned off the lights. This trip was made daily despite the fact Westfield was nearly blind and carried the white red-tipped cane used to identify the blind,” according to Westfield’s obituary published in the Times Leader Oct. 10, 1960. 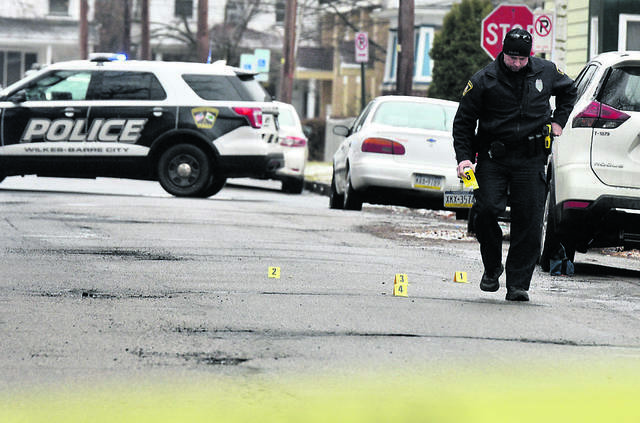 Westfield was 70 when he died at Mercy Hospital in Wilkes-Barre. Sometime in 1959 after vandals knocked down the first statue Westfield erected, a contractor from Hazleton built a concrete base for a Blessed Mary statue imported from Italy, which was blessed by Rev. Raymond E. Larkin of St. John Evangelist Church in November 1960. Volunteers created gardens and planted flowers slowly expanding the shrine. In the years after Westfield’s death, taxes were not paid and the property – consisting of four lots – went up for sheriff’s sale in 1966. “Our Lady of Fatima grotto at 51 W. North St. will be sold to Attorney Anthony B. Panaway, Plains Township, unless he is outbid for the four parcels of land 313 feet deep extending over the cliff to the edge of cemeteries fronting on Darling Street,” the Evening News reported April 14, 1966. County commissioners William G. Goss, James B. Post Jr. and Edmund C. Wideman Jr., announced at a meeting Panaway offered $50 for each lot totaling $200 to purchase the land. “The cliff forming the background for the statue for years and still is the mecca for adventurous mountain climbing youngsters. It has and is still being used by some youngsters for tossing snowballs on traffic and green apples and rocks in the spring and summer. There has never been reported an accident of a child falling from the steep precipice,” the Evening News reported. Panaway dropped his effort to personally purchase the property and represented King’s College to negotiate a sale price with Luzerne County offering $3,000, reported the Times Leader May 11, 1966. But King’s College was outbid by $50 when Attorney Martin C. Sloane, of Great Neck, N.Y., purchased the property at a cost of $3,050, with plans to construct an apartment building atop the cliff. For whatever reason, the apartment building was not built. Lay Servants of the Immaculate Heart of Mary Inc., a nonprofit corporation, took ownership of the property in 1983. Theodore T. Zuba, who died in January 2018, and his brother, Walter C. Zuba, who died in November 2007, were longtime caretakers of the Grotto tending to flowers, statues, cutting grass and shoveling snow. Theodore Zuba started a Sunday night Rosary gathering at the Grotto in 1983. 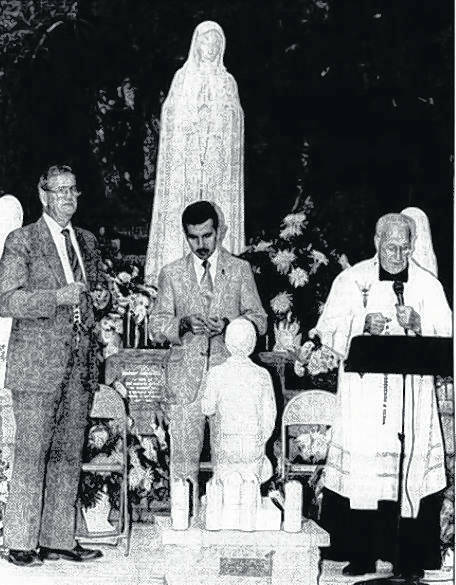 Our Lady of Fatima Blessed Grotto was re-dedicated Aug. 19, 1990, after a major renovation and expansion project made possible by $44,000 in donations that added more religious statues, sidewalks, walls, benches and trees. Precision Works Inc. and Balent Construction volunteered labor and materials to restore the Grotto. 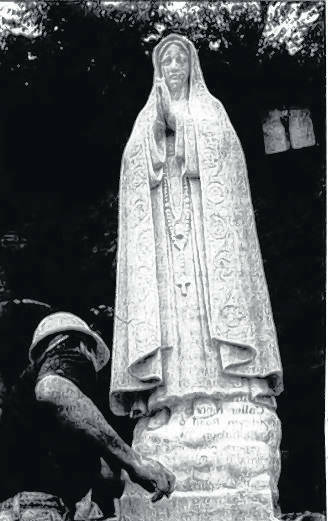 A 1,000-pound Blessed Mother statue 6 feet high was erected at the Grotto on June 15, 1998. According to Catholic tradition, “Our Lady of Fatima” refers to a title given to the Virgin Mary after three children in Fatima, Portugal, said they saw her appear in several visions in 1917. Dedication service at Our Lady of Fatima Blessed Grotto published in the Times Leader on Aug. 19, 1990. From left, Joseph DeGraba, Christopher Calore and the Rev. Anthony Noviello of Holy Rosary Church, Park Avenue, Wilkes-Barre. https://www.timesleader.com/wp-content/uploads/2019/04/web1_Grotto-dedication-TL-08201990-Copy.jpgDedication service at Our Lady of Fatima Blessed Grotto published in the Times Leader on Aug. 19, 1990. From left, Joseph DeGraba, Christopher Calore and the Rev. Anthony Noviello of Holy Rosary Church, Park Avenue, Wilkes-Barre. A worker prepares the base for the 1,000, 6-feet tall Lady of Fatima statue on June 15, 1998.
https://www.timesleader.com/wp-content/uploads/2019/04/web1_Grotto-statue-TL-06161998.jpgA worker prepares the base for the 1,000, 6-feet tall Lady of Fatima statue on June 15, 1998. WILKES-BARRE — We all have heroes. Heroes can be parents, relatives, siblings, veterans, friends, sports stars, celebrities, politicians, authors, teachers, police officers, firefighters, doctors, nurses, grandparents, and on and on and on. I’ve always said that heroes walk the halls at the Veterans Administration Medical Centers and it’s not an exaggeration. This week, we learned about “hometown heroes” — people who had their normal lives changed forever because they happened to be in the right place at the right time to perform genuine acts of heroism. The American Red Cross of Northeastern Pennsylvania’s “Heroes Celebration” was held Tuesday morning at the Holiday Inn Wilkes Barre-East Mountain. The annual breakfast and awards ceremony honors community heroes — in categories from Good Samaritans, to law enforcement, to firefighters, to emergency services and community impact. Each “hero” quietly waited for their turn to be called up to receive their award. But first they sat and listened to the presenters recount their acts of heroism — each one packed with emotion and with results that surely made a difference in the lives of those that benefited from these acts of heroism. I sat next to Sam Troy and his father, Robert. Sam is a 16-year-old sophomore at Northwest Area High School. He and two of his friends — Ashton Strish and Joseph May, both juniors at Northwest. Troy, Strish and May were riding in a school van last May when the driver of that van started having trouble breathing, and then passed out. As the van continued down the highway out of control, May quickly grabbed the wheel. While Troy lifted the driver’s foot off the gas pedal, May pulled the van over, put it in park and called 9-1-1. At the same time, Troy and Strish pulled the driver out of the van and laid her on the ground. Emergency crews arrived shortly after. Sam’s father, Robert, said the three boys took control of the situation. And there was Shaun Skursky of Wilkes-Barre, a corrections officer at the State Correctional Institute at Retreat. While Skursky was on vacation with his family, a young boy got his foot stuck in a pipe at the bottom of a river, becoming trapped underwater. Skursky, who put down his own baby, dove under the water to help. Miraculously, after almost eight minutes under water, the child survived, surely thanks to the underwater breaths he received from Shaun. And then there was Hanover Township Fire Lieutenant Chris Halecki, who was at a high school basketball game in Luzerne County this winter when an 82-year-old man collapsed in the stands — his pace maker stopped working. Chris sprang into action, using an automated external defibrillator to get the man’s heart beating again. The man’s family credits Chris for saving his life. And then there were Hazleton City firefighters Brian Mandak, Josh Walper, Mike Zapotocky, who last April were sent to a home with heavy smoke and flames, where a woman was stuck inside. As soon as Mandak walked into the home, he was forced back by an intense wall of flames. Walper and Zapotocky quickly found an elderly woman lying face down on the living room floor unresponsive. The men rescued her from the home and brought her out to an EMS team waiting outside. And then there was Kevin Cardoni, who in August was headed to a sandwich shop when he was alerted to a person who had been stung by several bees and was struggling to breathe and going into shock. While the victim did have an epi-pen, no one knew how to use it. That’s when Kevin stepped up, administered the life-saving medication, allowing the victim to start breathing normally again. And then there was Brian Hepler, who was out to what he probably thought would be an uneventful lunch with his wife, Trudi, until someone at a nearby table started choking on her food. Two people tried, unsuccessfully, to administer abdominal thrusts. But it was Brian’s skills and willingness to help that saved the life of a woman who thought she might never see her children again. And then there was Joe Stager, who last June was working at the Wilkes-Barre Township Barnes & Noble in the Arena Hub Plaza when an EF-2 tornado formed and barreled right through the store. Joe said the wind was so powerful, he thought the roof might collapse. While fearing for his own life, Joe still shielded two of his fellow employees from flying glass and other debris by hiding them under an anchored information desk. Joe covered them as the tornado ripped through the building. 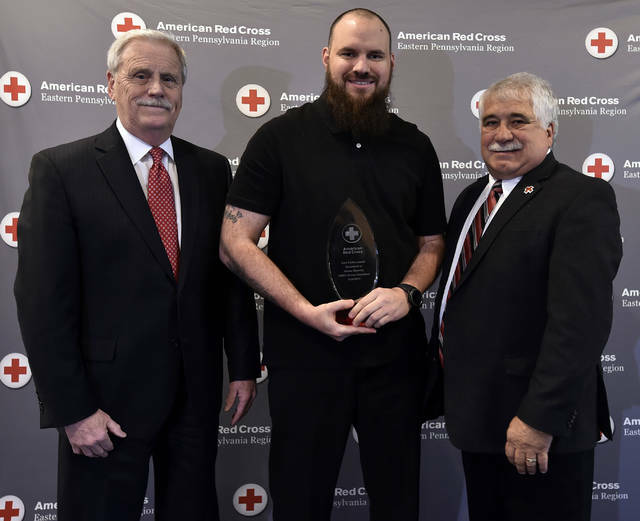 And then there was Joe Duffy of McCarthy Tire Service, honored for its commitment to the life-saving mission of the Red Cross. McCarthy’s provides all the maintenance for the fleet of disaster response and blood collection vehicles.